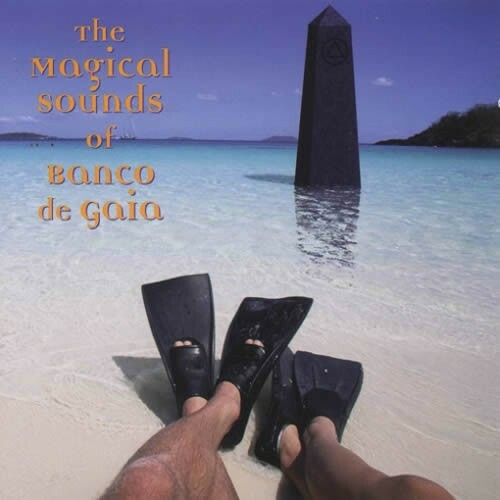 Toby Marks of Banco De Gaia has steered a fairly consistent course since his 1993 debut Maya. Often filed under techno in music shops, in fact his brand of spiritually uplifting music for mind and body only cherry-picks from this genre, adding elements of world music--particularly Middle Eastern styles--ambient dub and ambient.Magical Sounds, the first release on his own new record label, is a straightforward progression from previous work. The opening I Love Baby Cheesy, the only consistently dancey track on the album, makes characteristically fine use of unusual vocal samples in the midst of an upbeat, rolling sound. Other numbers, like Harvey And The Old One and 144K? mix a long and mellow introductory section into some later heavier beats. Sinhala is a wonderfully organic chant-based number; Touching The Void begins with rainforest sounds that flow into a nicely paced backbrain romp; Frogs Dinner is mostly spacey and deeply textured yet will get your hips swaying in its funky breeze. The closing No Rain is another upbeat track which nevertheless maintains an appropriate feeling of release and winding down.Overall, in a field where so many appear to consider unrelenting beats suitable for repeated home listening, this fine album succeeds because of Toby Marks awareness and use of dynamics and space.